Braveyoung’s album We Are Lonely Animals, released in January 2011, was a standout record for that year, for a number of reasons. The Oregon post rock collective conjured a record of hefty emotional weight. Each of the eight tracks were sombre and solemn affairs, laden with lush string arrangements and carefully crafted guitarscapes. It was truly an album to lose yourself in and a number of months later the band would release their impressive collaborative album Nothing Passes with The Body. All the while, talk of an EP they were working on hushed down a little bit until early November when the band unpredictably posted the entire thing for streaming, entitled Will The Dust Praise You. This EP very much continues the work of We Are Lonely Animals but is a little more subdued and grave. While the album sometimes swelled to momentary flashes of intensity with heaving guitars like that of ‘And No Two Walked Together’ and ‘Light Narrows’, Will The Dust Praise You is void of that. Instead, it relies on total and utter peace and tranquillity. Will The Dust Praise You is totally hypnotic, with an overwhelming wash of ambience from the opening notes of ‘Inquietud’ through to the equally restful conclusion of eight minute closer ‘Relief is Near in Four Parts’. 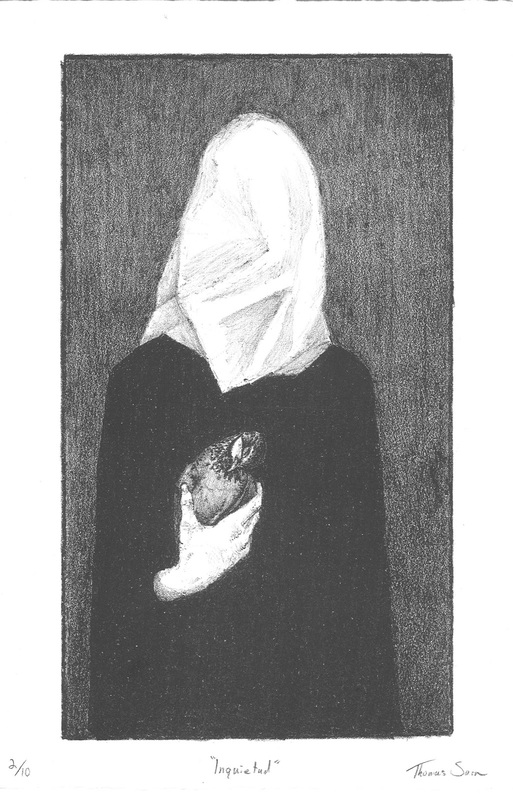 ‘No Cure’’s spectral pianos slowly tip toe in as a gentle wall of serene noise plays at odds. Soon the piano keys become heavier and the atmosphere builds in tension, feeling like a paradigm shift is imminent, only to unexpectedly fizzle out into the third song (‘I Felt Even Then How Monstrously a Man May Get Used to Things’) which similarly crafts a tense and heavy atmosphere as the song progresses. Furthermore, unlike We Are Lonely Animals, this EP is totally instrumental. The album utilised some very minimal vocals in the track ‘The Weight of Loss is Whole’, there is none of that tinkering here. ‘Relief is Near in Four Parts’ is the EP’s glorious standout though. The band are at their most comfortable when unfurling an expansive movement and this eight minute closer does just that. Opening with the usual chimes of ambience that maintain the EP’s lush theme from the start, gentle pianos once again pervade the air, slowly lulling us into another spectral calm. And then… it’s over.